Savvy Spending: Enter to win a KFC Colonel Bear Figurine, now through 10/5! Enter to win a KFC Colonel Bear Figurine, now through 10/5! 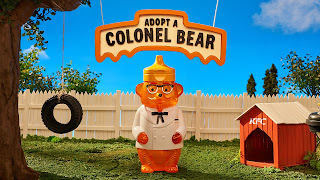 You can enter for a chance to win a KFC Colonel Bear Figurine! Note that there is a limit of one entry per person. There will be 705 winners drawn around October 5th!